This past month, we had our heads up in the clouds. 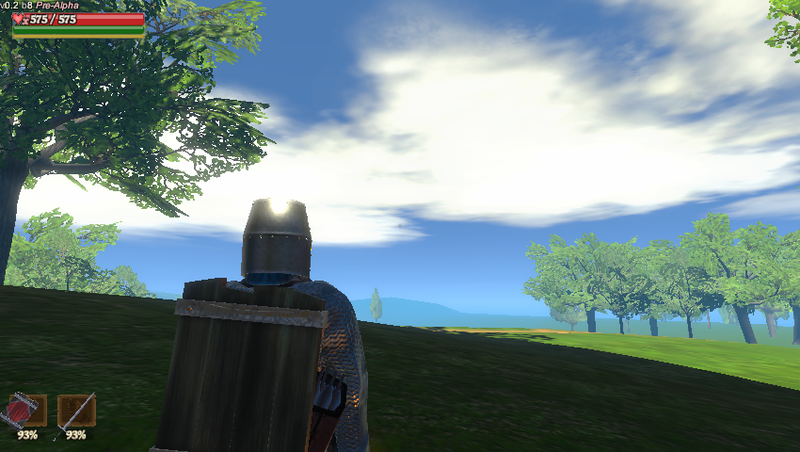 Consequently, the clouds have been reworked, both texture maps and its shader. Now they have a more fluffy look, less sharp highlights upon them, than before. 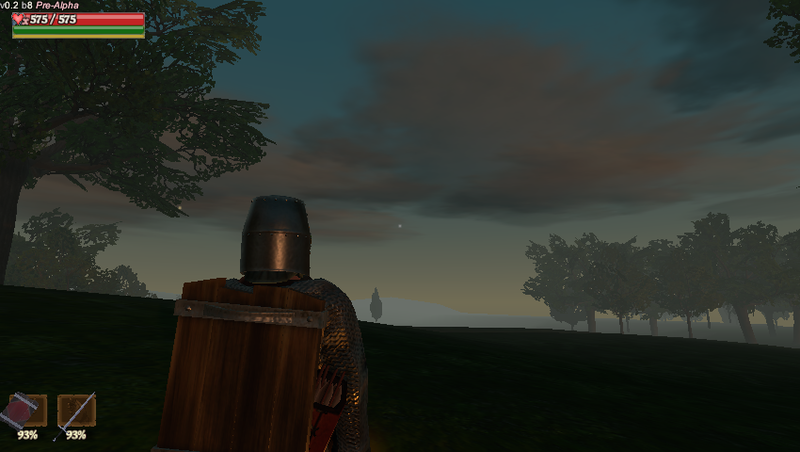 For the sky, the shader has been updated. 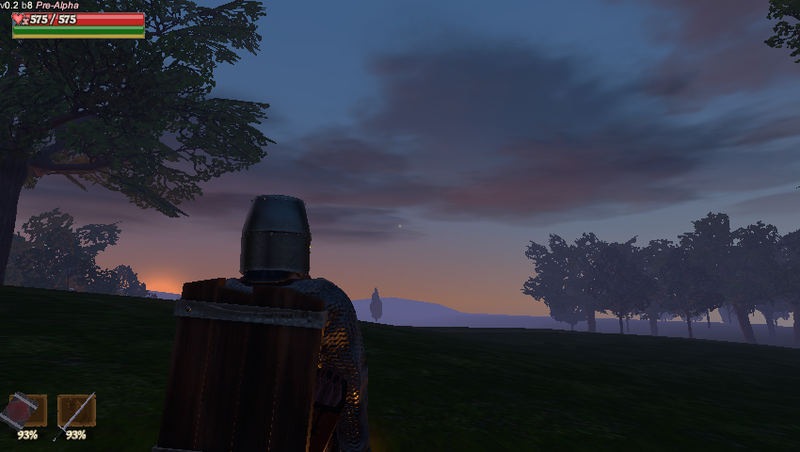 Now the sky interpolates between 3 colors: the sky color and 2 horizon colors. The two horizon colors appear on opposite sides. This makes it easier to tell which side/direction the sun is on, even when it is below the horizon. We’ve made progress on a big feature, seasons! 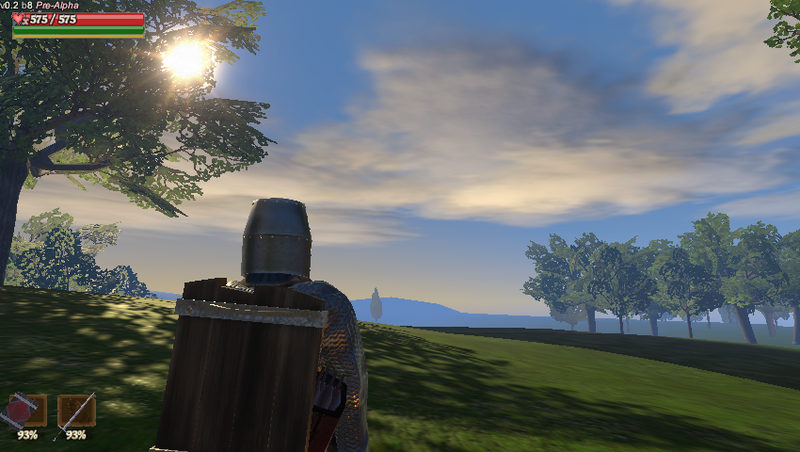 We’ve wanted to get this idea in for a while, and are planning to make it a more prominent part of the game later. Imagine ponds freezing over, allowing you to get to new places, or blocking off paths to others. Crops/plants, & wild things growing/spawning at different times of the year. These are but some of the ideas. For now, areas will change aesthetically with which season you are currently in. All areas that are within the temperate regions of Terradim, that is! Repair – recovers condition of equipped items. Corrode – opposite, damages condition of equipped items. Daze – renders you unconscious and on the ground (ragdoll). When your head is crippled, instead of lying on the ground for an arbitrary amount of time, you are now given an effect where you can visually see the time in the upper right corner. Certain potions can also cause this effect. Started combo attacks (more later). 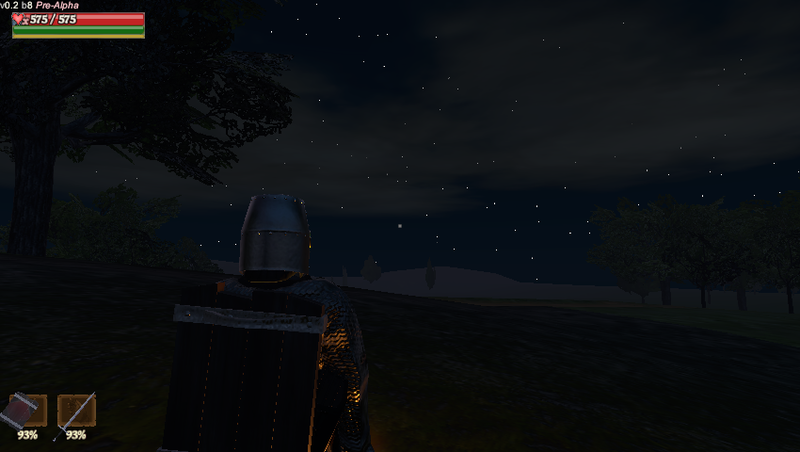 Reworked fire particles & texture (optimizing in the process, now all the same material & lower particle counts for all). Your characters’ idles now update with their equipment in the Party Setup. Target limitations of AI, beat ’em up inspired (we’ll explain in more detail later). Improvements/further work on swing-throughs (hitting multiple targets in one/each swing). On top of that, we’ve also continued work on transferring prefabs over to the new nested/variants setup. Looks pretty good so far, I'd make the laves on the trees go brownish / reddish in the autumn. Thanks! And it's done. Check the next post (when it appears).